There are significant changes to the Woodburning, Gas and Pellet National Fireplace Institute (NFI) Certification programs. If you are certified or thinking of becoming certified, please pay very close attention to the following information. Click here for a complete description of the upcoming changes. NFI Changes in 2019 If you have any questions, please call the NFI office at 703-524-8030 or email us at info@nficertified.org. Why is there a need for fireplace/hearth installer credentials? In two words: public safety. 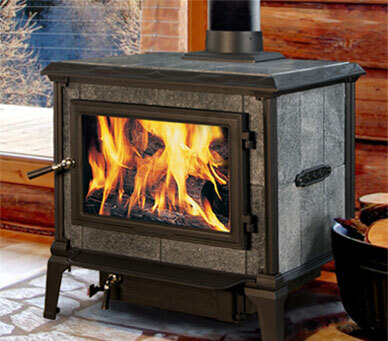 Hearth products, because they involve flame, heat and venting of combustion products, require specialized knowledge for planning and installing. 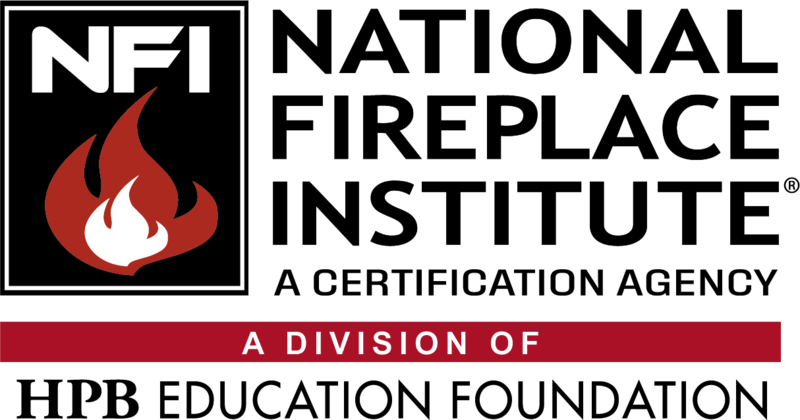 The NFI exams are the only exams that test the knowledge needed to properly plan and install hearth products and their venting systems. NFI Certification is already recognized as the basis for a specially license to install hearth products in a number of state country and municipal jurisdictions, including the State of Rhode Island, Newcastle Country, DE, the country of Lawrence, KS, the City of Lincoln, NE, the city of Salina, and Pitkin County, CO.
NFI Certification identifies those individuals who have passed an exam based on the knowledge needed to properly plan and install hearth products and their venting systems. Certification is regarded as an excellent indication of professional training and commitment. What are the benefits of being NFI Certified? Building officials prefer to work with certified contractors who have demonstrated their commitment to professional excellence. Manufacturers prefer qualified installers because they know their products are more likely to be installed correctly . Consumers feel more confident hiring certified specialists because of their experience and knowledge. NFI provides certified specialists with tools to identify and promote themselves, such as wallet ID cards, patches, and decals. NFI Certified Specialists are also listed here. How does a hearth professional become NFI certified? To become certified, a person must pass the multiple choice NFI certified exam(s). A person may become certified in one, two or all three of the specialties by passing the appropriate exams. NFI exams are offered over 600 locations nationwide allowing the busy professional the convenience of testing close to home. NFI review courses and exams are also sponsored by a number of industry organizations and hearth products manufacturers. How were NFI exams developed? NFI contracted with the Personnel Decisions Research Institutes (PDRI), a nationally recognized testing consultancy agency, to direct the process for developing the certification exams. PDRI followed nationally recognized guidelines in the development of the NFI exams. NFI exams are reviewed and updated on a regular basis to ensure they cover the latest hearth industry trends and topics. What are the NFI exams based on? The exams are based on an industry-wide job analysis survey, a formal process that identifies the important knowledge needed to perform the tasks involved in planning and installing hearth products. How does one maintain certification? There are two ways to maintain your NFI certification during the three year validation period. The first is to participate in the NFI Continuing Education Program for certification renewal by attending accredited training programs offering Continuing Education Units (CEUs). The number of CEU’s needed for renewal are based on the number of certifications that you hold and are detailed in the Continuing Education section of this website. You will need to obtain the full amount of CEU’s in the proper categories before your NFI Certification expires. The second way to maintain your NFI Certification is to take the exam just prior to the expiration of your certification. Customers may not be asking for an NFI Certified technician, but when they purchase a hearth product, they are expecting a well trained technician with the knowledge to properly plan and install hearth products and their venting systems. Being NFI Certified is an excellent selling point to customers by giving them the extra comfort knowing that they are dealing with a technician and a retailer that is not just meeting their expectations, but EXCEEDING them. It could be the little difference between choosing you or the competition, and in this tough economy every advantage helps! 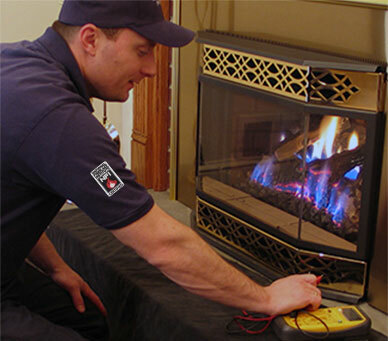 Manufacturers in the Hearth Industry also recommend an NFI certified technician install their products. Currently, there are over twenty-nine of these NFI Advocates in the industry. The Environment Protection Agency recommends and in some cases require that consumers choose an NFI Certified specialist when participating in a Stove Changeout Program. This is an excellent selling point to your customers who are becoming more environmental conscious. In professions where safety and protection of the public is involved, NFI certifications also serve as a positive effort to self regulate, thus fending off the possibility of government regulation Certification may preempt the adoption of the outside regulations allowing us to install our industry’s products. Building code officials prefer to work with certified individuals because they know certified professionals have prepared for and passed an industry exam. You and your staff may become trusted experts when builders and officials have questions about the installation and operation of hearth products. Certified individuals are more productive using time more efficiently, than non-certified ones due to better job preparation and learning. If installation and service are 25% or less of the gross of your business, you may be able to enjoy lower insurance rates.